Leasing Available from $43.30 per month! Looking for IBM 6700 Parts? The IBM 5504 Infoprint 6700 Thermal Label Printers are a compact, rugged family of printers ideal for printing bar codes, labels, and tags in industrial applications. The IBM 5504 Infoprint 6700 Thermal Label Printer Model R40 has a nominal print width of 4 inches. The IBM 5504 Infoprint 6700 Thermal Label Printer Model R60 has a nominal print width of 6 inches. The IBM 5504 Infoprint 6700 Thermal Label Printer Model R80 has a nominal print width of 8 inches. The Infoprint 6700 is available with a (nominal) print width of four, six or eight inches with print resolutions of 203 or 300 dpi these printers offer a large ribbon capacity for continuous printing, and compatibility with label applications now running on the IBM 4400 Thermal Label Printer. Standard programming languages include Code V**,IGP, ASCII, and emulations for Zebra, TEC, Sato, and Intermec printers. IPDS is an optional feature. Available attachments include the standard serial and parallel ports, wireless and LAN Ethernet, and Twinax/Coax. The Infoprint 6700 is a family of compact, rugged industrial thermal printers with nominal print widths of four, six, or eight inches. The models offer print resolution of 203 or 300 dpi and maximum print speeds up to 10 inches per second. The primary applications are for the production of RFID tags, barcodes, and graphics on labels and tags in an industrial environment. Since the maximum noise level for the Infoprint 6700 was designed for an industrial environment, this printer is normally not suitable for office environments. During direct thermal printing, the thermal printhead also selectively heats printhead elements. When these elements contact the coated thermal paper, the dyes and developers in the coating react tithe heat and develop an image. This mode of printing is generally used for short-term labeling applications. Printed bar codes meet the requirements of ANSI Document X3.182-1990, 'Bar Code Print Quality - Guideline' Grade A. Print drivers for Windows NT 4.0, Windows 2000 (NT), and Windows XP are included with the printer. Printheads: The printhead must be replaced periodically, and new printheads are obtained as a supply item. The 300 dpi printhead may be ordered to upgrade a 203 dpi machine to 300 dpi. Note: Ribbons are available from IBM. Refer to the Supplies section for more information. Note: Direct thermal media is paper coated with special chemicals that act as an accelerator, acceptor dye, and binder. During direct thermal mode, the heat from the thermal printhead contacts the paper and causes a chemical reaction. The new function described in this announcement will be included on printers shipped on December 19, 2008, and later. The Intelligent Mail barcode is available with IGP (PGL) and IPDS on the InfoPrint 6700 (machine type 5504) Models R40, R60, and R80. The Intelligent Mail barcode (formally known as the 4-StateCustomerbarcode) is the next generation of USPS barcode technology used to sort and track letters and flats. Most important, Intelligent Mail barcode technology combines the capabilities of the POSTNET barcode and the Planet Code barcode into one unique barcode. This emulation is available on the InfoPrint 6700 (machine type 5504) Models R40, R60, and R80. The InfoPrint 6700 Model R40 (5504-R40) supports Class 0/0+, Class 1,andClass 1.19 RFID; Class Gen 2; and Class Zuma tags and labels. Gen2has superseded Class 0 and Class 1 technology, and the list of available RFID tags is increasing; consequently, all the tags supported by this printer are not listed. The list below shows some of the most common tags. The following Gen2 tags will show within the printer's menu. The RFID feature of the Infoprint 6700 printer includes a reader, antenna and associated components to enable programming (encoding) and reading of RFID tags. RFID can be installed on the Model R40 in either the factory or in the field. RFID Supported Protocols are EPCglobal Class 0, Class 0+ (Matrics),Class 0+ (Impinj), Class 1, Class 1Generation 2 (1) and Philips UCode1.19. Note: (1) The availability of EPC Global Class 1 Generation 2 is November 18, 2005.RFID features shipped prior to this date do not contain EPCglobal Class1 Generation 2. TheRFID feature is available only in the following countries: cities, or areas: United States, Canada, Singapore, Australia, Austria, Belgium, Czech Republic, Cyprus, Denmark, Estonia, France, Finland, Greece, Germany, Hungary, Ireland, Italy, Luxembourg, Lithuania, Latvia, Malta Netherlands, Portugal, Poland, Sweden, Spain, Slovakia, Slovenia, and the United Kingdom. Note: The availability of EPC Global Class 1Generation 2 is November18, 2005. RFID features shipped prior to this date do not contain EPC global Class 1 Generation 2. The Coax/Twinax attachment provides the addition of both a coax and a twinax interface, in addition to the ASCII Serial/Parallel interface. This interface adapter takes one of the two adapter card slots. The Ethernet 10/100 BaseT NIC is an internal adapter that connects the printer to an Ethernet network using TCP/IP, NetBIOS TCP/IP, and IPX. The ASCII parallel interface is replaced by this Ethernet NIC. The Wireless Ethernet attachment card (#4542, #4278) provides support for wireless Ethernet. This adapter card is compliant with IEEE802.11bWi-Fi. A dipole rubber duck antenna is included with this feature. The Telnet 3270e/5250e feature allows printing currently being performed with coax/twinax attached printers to be migrated easily to network attached printers, without changing the existing application. This feature is initial order only. The Telnet feature cannot be used with any IPDS feature or the Coax/Twinax adapter. IPDS allows print pages containing an unlimited mix of different types of data: high-quality text, images, vector graphics, and barcodes. The300 dpi printhead is a prerequisite for IPDS. This printhead can be ordered as a feature (#3500, 3501 or 3502) on initial orders or as a supply item after the initial order. The On-Line Data Validator is an external device that attaches near the paper exit of the printer. It scans the printed output for barcodes and monitors bar code quality. This feature is not applicable to RFID. After a bar code passes the scan beam, the validator grades it and sends are port back to the printer. The printer response is determined by the validator settings. A 1/2-inch distance between barcodes is required when the validator is used. The validator feature only applies to picket fence (vertical) bar codes. The validator cannot be used to verify ladder (horizontal) bar codes. The maximum length of a bar code to be verified is approximately 6.5inches (including approximately 0.25inches for the quiet zone). This maximum length can vary depending on the bar code element width. The Media Cutter automatically cuts media after each label is printed or via a software command to cut media after a specified number of labels are printed. This feature increases the 8 MB Flash memory to 16 MB to allow for the storing of custom forms. This feature provides a 300 dpi printhead. A 203 dpi Printhead is provided on initial orders if feature number 3500, 3501, or 3502 is not ordered. This feature is required for IPDS printing. After the initial printer order, the 300 DPI printhead must be ordered as a supplies item. The Operator Panel language is customer selectable. The choice of languages is English, French, Italian, German, Spanish, and Brazilian Portuguese. The TEC Emulation provides support for emulation of TEC printers. This interpreter is compatible with the following TEC printers: TecB372, B472, B482, B572, B672, B682, B872,and B882. The printer operates under two basic modes: batch and on-demand. Batch mode is used to print and collect labels for later use. On-demand mode is used in applications where labels will be used immediately after printing. In batch mode, the printer unwinds the media from the media supply spindle and prints the labels. In Peel-Off Mode, the printer unwinds the media from the supply spindle, prints the label, automatically peels the label from the media carrier web, and leaves the peeled label at the mouth of the printer. The printer then rewinds the waste label carrier web onto the internal rewinder spindle. The label presentation sensor detects when the label has been removed, and the printer then retracts the media before printing the next label. In Tear-Off Mode, the printer unwinds the media from the supply spindle, prints the label, and leaves the label at the mouth of the printer (aligning the tear point over the tear-off bar). The label presentation sensor detects when the label has been removed, and the printer then retracts the media before printing the next label (to prevent the loss of a form). In Tear-Off Strip Mode, the printer unwinds the media from the supply spindle and continues printing until the print buffer is empty. The printer then positions the last label for removal by aligning the tear point over the tear-off bar. The label presentation sensor can be used in the Tear-Off strip mode to detect when a label has been removed. When the printer buffer is again loaded, the printer will retract the media before resuming printing to prevent the loss of a form. The printer is capable of printing the bar code symbologies as shown in the following table. The following table summarizes the IPDS support by platform. Refer to the Infoprint 6700 Thermal Label Printer Coax/Twinax Programmer's Reference Manual for details and limitations concerning the twinax and coax emulations. Refer to the Infoprint 6700 Thermal Label Printer ASCII Programmer's Reference Manual for details and limitations concerning the ASCII emulations. Note: (2) The Ethernet Interface supports network printing under various TCP/IP environments including most variations of UNIX. Refer to the Infoprint 6700 Ethernet Interface User's Manual for details and limitations concerning the Ethernet NIC Network Support. The Ethernet 10/100 BaseT NIC Adapter is an internal adapter that connects the printer to an Ethernet network using TCP/IP, Net BIOS TCP/IP, and IPX. When this adapter is to be used for IPDS, FN 4861 or FN 7866 (IPDS) is also required. This feature uses one of the two available PCI adapter slots. There is a maximum of two of Coax/Twinax (#4830, 5837) , Wireless Ethernet (#4542, 4278) and 10/100 Ethernet (#4177, 5180). Cannot be installed with Dual 10/100 Ethernet (#4287 or 4387). 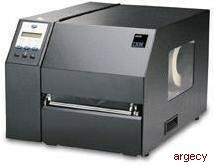 Prerequisites: Infoprint 6700 Model R40, R60, or R80 Thermal Printer and FN 4861 or 7866 when used for IPDS. This feature uses both of the two available PCI adapter slots. This feature is an adapter card that is integrated into the printer. This card provides a Wireless Ethernet 802.11b Wi-Fi compatible interface. No LAN interface is provided with this adapter. This adapter provides only a wireless interface. If both LAN and Wireless Ethernet is needed, FN 4177 or FN 5180 (MES) must also be ordered. Yes, feature number 4278 is field installable. The Coax/Twinax attachment provides the addition of both a coax and a twinax interface, in addition to the ASCII Serial / Parallel interface. This provides support for ASCII, IGP, Code V, and Coax/Twinax emulations. When the Twinax attachment will be used in IPDS mode, IPDS (FN 4861or FN7866) is also required. Coax mode is not supported for IPDS. The Infoprint 6700 Coax/Twinax Programmer's Reference" is included on the CD shipped with the printer. Prerequisites: Infoprint 6700 Models R40, R60 or R80 Thermal Printer. Cannot be installed with Dual 10/100 Ethernet (#4287 or 4387) or Telnet (#4520). Customer Setup: If ordered as an MES, IBM Service must install this feature as FN 5837. This feature provides the Telnet 5250e and 3270e capability. Customer Setup: No, this feature is initial order only. The IBM Intelligent Printer Data Stream (IPDS) allows print pages containing an unlimited mix of different types of data: high-quality text, images, vector graphics, and bar codes. Initial Order Only (#4861): The 300 DPI printhead can be ordered with FN 3500, 3501, or 3502. Customer Setup: Yes for both initial order (#4861) and Mes (#7866). Limitations: Only Twinax IPDS support is available for the Coax/Twinax attachment. Coax IPDS support is not provided. This feature provides a 300 DPI printhead. A 203 DPI Printhead is provided on initial orders if FN 3500, 3501 or 3502 is not ordered. This feature provides a total of 16MB Flash memory to support printing of label media lengths up to a maximum of 99 inches. Customer Setup: Yes, if ordered with the base printer. If ordered later as an MES, IBM Service must install this feature as FN 5601. In Peel-Off Mode the printer unwinds the media from the supply spindle, prints the label, automatically peels the label from the media carrier web and leaves the peeled label at the mouth of the printer. The printer then rewinds the waste label carrier web onto the internal rewinder spindle. The label presentation sensor detects when the label has been removed, and the printer then retracts the media before printing the next label. In batch mode, the labels are wound to a spool after they are printed. The spooled labels can then be used at a later time and place. The maximum spool diameter is 5 inches. Customer Setup: Yes for initial order, No for Mes. FN 5810, 5811 and 5812 require installation by an IBM Field Engineer. These features provides a Media Cutter and Tray to collect the cut media. This feature provide the cutter and a Media Cutter Tray that is used with the Media Cutter to catch the cut media and collect it away from the media cutter assembly. These features are not interchangeable among models. The correct width Media Cutter and Tray is required for each model. Model being ordered. For example, a 4-inch cutter and tray is required for a ModelR40 and a 6-inch for a Model R60. Compatibility Conflicts: These Cutter features cannot be installed with the Peel and Rewind features (FN 5710, 5711, 5712, 5810, 5811,5812). Customer Setup: Yes, on initial order. No, for the MES which must be installed by IBM Field Engineering. Customer Setup: Yes for initial order. No, for Mes field installation. This feature provides a validator to verifier bar codes. This feature provides a start-up supply of twelve (12) 4" wax TTW ribbons for the Infoprint 6700 Model R40. This is approximately a 3month supply with normal usage. This feature is initial order only and can only be ordered with a quantity of one. This feature provides a start-up supply of twelve (12) 6" wax TTW ribbons for the Infoprint 6700 Model R60. This is approximately a3-month supply with normal usage. This feature is initial order only and can only be ordered with a quantity of one. This feature provides a start-up supply of twelve (12) 8" wax TTW ribbons for the Infoprint 6700 Model R80. This is approximately a3-month supply with normal usage. This feature is initial order only and can only be ordered with a quantity of one. ** Company, product, or service name may be a trademark or service mark of others. Windows is a trademark of Microsoft Corporation. UNIX is a registered trademark in the United States and other countries licensed exclusively through X/Open Company Limited. IBM Corporation 2005.